One of the most important benefits of mindfulness meditation is the ability for us to more fully live our lives,” states Janice L. Marturano, executive director of the Institute For Mindful Leadership and the author of "Finding the Space to Lead: A Practical Guide to Mindful Leadership." “We become more skillful at noticing those times when we aren't present for our lives, and, more importantly, we know that we are able to redirect our distracted mind.” When we are focused on the present, it help to calm the brain and decrease stress. Turner advises designating a specific area in your home that’s just for your meditation practice like perhaps sitting at the foot of your bed or in a cozy chair. Once your place has been established find the most comfortable position for your body. 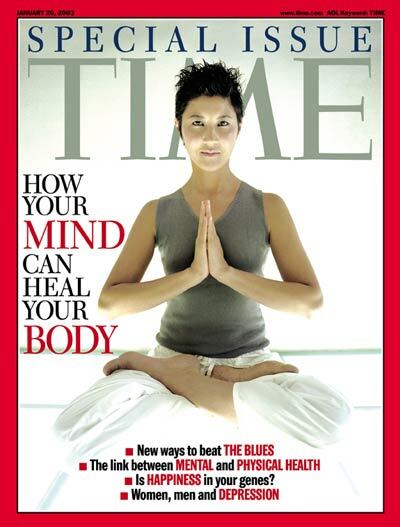 “There is no need for meditation cushions or sitting in a lotus position,” adds Marturano. “Sitting, standing and lying down are all options.” She also suggests choosing an object (or two) that may enhance your session such as lighting a scented candle or playing relaxation music. Close your eyes and take in everything you are thinking and feeling in the moment. “Notice the sensations in your body, paying attention to the warmth, the coolness, the tightness or the pulsing,” states Marturano. As for your mind, don’t ignore your thoughts—even if they’re the out of control, negative ones—but acknowledge them. “What you’re actually doing is developing what is called the ‘witness mind,’” explains Turner. As the thoughts swirl around your head, select each one and post a label on it. For example a few headings can include catastrophizing thoughts (assuming the worst is going to happen), critical thoughts (focusing on the negative about a person or situation), worrisome thoughts (concentrating on your current fears and stresses) and random thoughts (trivial items, like wondering if your package from Amazon will arrive in today’s mail). “You want to develop a more neutral approach about your different states of mind,” explains Turner. “So instead of getting wrapped up and believing in everything your mind is thinking, insert a moment of pause and say to yourself, ‘My mind is being extra critical today.’” In other words, don’t suppress anything—let the thoughts be as they are, identify them, then let them go. Focusing on each inhale and exhale can be one of the most powerful and simplest relaxation techniques, states Turner. “That’s because you can do it everywhere—it’s always with you—and you can only be in the right now when you’re focusing on your breathing,” she says. And even though the mind tends to jump to thoughts that can bring about emotions of anger, sadness or regret, we free ourselves from these feelings—even if it’s just for a moment—by taking a deep breath in and slowly releasing it. Continue to do this for about five minutes, if you can. “In fact, it’s one of the reasons why the ancient mystics taught us to use the breath,” she adds. Mindfulness meditation has been researched to determine the effectiveness on reducing stress, and there is growing evidence that shows that mindfulness meditation can decrease stress and alleviate anxiety by focusing on the present and letting go of the past or regrets. 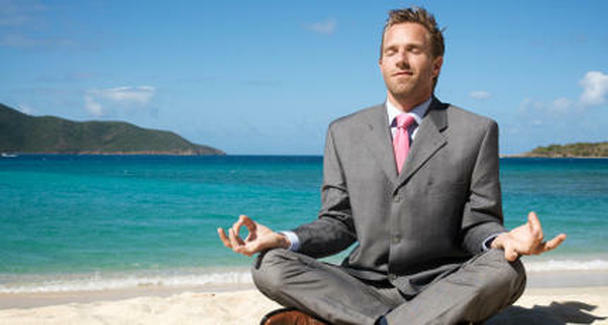 They key to the effectiveness of this meditation is practice. I often suffer from insomnia because I cannot slow, calm, relax, or shut-off my brain. I know that actually shutting off my brain would ultimately prove fatal (joke : ), but there are times when my body and mind are so stressed that I would love to flip a switch and turn it off for say six to eight hours each night. I am not someone who requires a set requisite amount of rest, however I do require some minimal amounts of sleep. My mantra for the longest time has been, ‘Life is short, and I’ll sleep when I’m dead', but the older I get, the more I realize my life will be short if I don’t get some sleep! I began trying to remedy this personal struggle a few years ago by trying to use meditation and meditative techniques to relax my mind and body. I wanted the techniques to be effective enough to at least rest even if I could not quite make it to a REM sleep cycle. It is often trying and difficult because of the pressure that society puts on us, but even more so what we put on ourselves. I am not as successful in relationships or in my career as I had hoped or dreamed, so I create some of my own stressors. Often my main stressor is lying next to me snoring while I struggle to even close my eyes. I use my meditation time to hone in and center on me, even if it is only a brief interlude in an otherwise maddening day.